You have the opportunity to lead: to show up with confidence, connected to others, and committed to a purpose in a way that inspires others to follow. But great leadership — leadership that aligns teams, inspires action, and achieves results — is hard. And what makes it hard isn’t theoretical, it’s practical. It’s not about knowing what to say or do. It’s about whether you’re willing to experience the discomfort, risk, and uncertainty of saying or doing it. 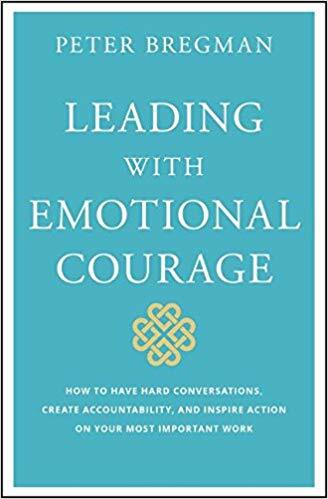 In other words, the most critical challenge of leadership is emotional courage. If you are willing to feel everything, you can do anything. Why most of us avoid feeling — and why this avoidance creates a huge drain on productivity. How emotional courage creates trust and inspires action among the people you lead. Small steps leaders can take to be emotional at work in a productive and helpful way. How to finally have that hard conversation you’ve been putting off. How to skillfully tell people hard truths in a way they can hear them. 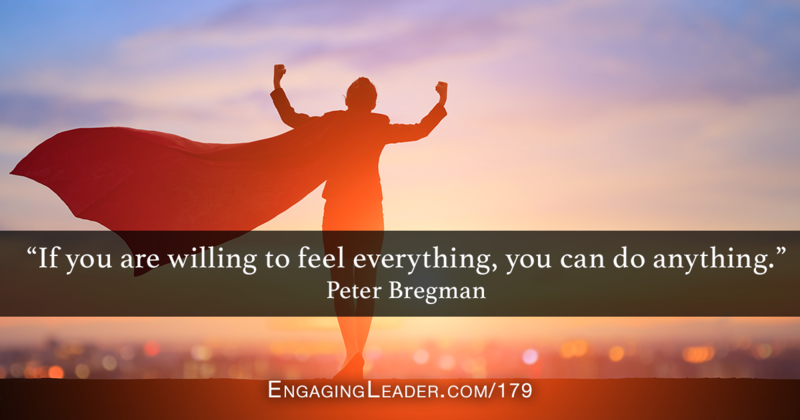 For over 30 years, Peter Bregman has worked with CEOs and senior leaders to help them create accountability and inspire collective action on their most important work. He is a sought-after speaker and thought leader in the areas of leadership development, organizational change, productivity, and emotional courage. He is also a regular contributor to the Harvard Business Review, and his articles and commentary appear frequently in Bloomberg BusinessWeek, Fast Company, Psychology Today, Forbes, The Financial Times, PBS, ABC, CNN, NPR, and FOX Business News. Peter’s book 18 Minutes: Find Your Focus, Master Distraction, and Get the Right Things Done, was a Wall Street Journal bestseller, winner of the Gold medal from the Axiom Business Book awards, named the best business book of the year by NPR, and selected by Publisher’s Weekly and the New York Post as a top-ten business book. He was previously featured on Engaging Leader to discuss is prior book, Four Seconds: All the Time You Need to Replace Counter-Productive Habits with Ones That Really Work.